While living in Beijing, on Sunday afternoons I’d give myself the treat of getting lost somewhere if I’d already put in a certain amount of hours the previous week banging my head against the staccato tones of Chinese. The reward of several completely unstructured hours on my classic iron-framed, one-speed Flying Pigeon was both pure joy and a needed antidote to my on-going study of language and medicine. Getting lost, completely lost, invited a spacious ease that I didn’t get when endlessly drilling tone pairs or looking up for the nth time a medical term that I knew I knew, but could not (yet again) remember. In 2003, Beijing was home to 26 million souls. Its fractal grid would morph from broad boulevards to local thoroughfares to capillary thin hutong alleys. I’d find a section of town on the map that I’d not yet explored and set off in the general direction armed with my lousy Chinese and willingness to ask random strangers for directions, curious to see what was there. I’ve always enjoyed this kicking around the edges of the unknown. There is an energy and attentiveness that naturally arises when in new territory. The senses take on an increased acuity. Time moves differently, if time could be considered to be a consideration at all. Everything is different when the internal maps of the world are no longer dependable. You can come down on the side of fear and constriction, or allow the sensorium to open into a wider field. A few freewheeling hours of not attempting to make sense. A timeless afternoon spent inhabiting moments as they arise and disappear. Grasping at nothing, allowing anything. It’s a kind of nourishment we don’t get when we stick to busy schedules or when pushing the envelope of expertise or implementing an agenda, even if the schedule is of our own making. Off the beaten path, we remember that the unknown is not empty. It holds infinite possibly. The turbulence of change is not to be underestimated. When we take on a transformation (yes, “transformation,” the morphing of one form into another), we are asking for a bit of turbulence. 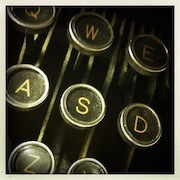 Our all-American, rugged, can-do individualism has us thinking we need to do this alone. We think it is about character and will power. But will power alone is foolhardy. Leaning on social connections to help us through shapeshifting transition is not weakness — it draws on our interconnected sources of strength. We are up against powerful homeostatic processes; the very processes that keep us alive. Nudge the system, it pushes back. Push on an ingrained habit and the system brings the force of tides and gravitation to return to its set point. Going for a fast, abrupt change is just asking for trouble. Slow relentless change though, that’s different. It’s rather like quietly tiptoeing past the guard dog. The idea is to slowly and quietly get past the forces of resistance that arise any time we seek to make some sort of positive change. Open a candy bar, break off 1/5 of it and throw away, then eat what you want. When eating sugar, don’t inhale it. Spend some time with it. Really experience the textures and tastes. Slowly. Very slowly. Buy only one sweet treat at a time. Also, instead of buying your usual favorite, choose something different. If you are going to eat sugar, switch it up every time. You’ll learn something about choice. Don’t chew. Gum it, or let it melt in your mouth. See what that is like. Small changes that move in the direction of choice are helpful, especially if you feel trapped in a sugar cycle. Always having to choose something new exercises the choice muscle – and that’s a good thing. Speaking of sugar, your commercial sports drinks are laden with it. In a nutshell, homemade lemonade with a bit of salt goes a long way in replenishing your electrolytes. Time is an ally. What cannot be achieved in one week might be achieved in a month or a year. Needs (or perceived needs) change as one takes one step after the other. Have you told friends and family about how acupuncture can help them, only to find they ignore your efforts to help? So be patient with them. And if you would like to help others by sharing how acupuncture has been helpful for you. 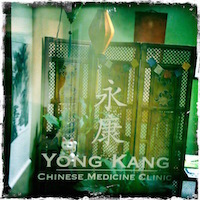 You can write a short review of your experience on the Yong Kang Clinic Google page. It will help others who are considering acupuncture to be able to make an informed decision. And I'm always appreciative and grateful for the referrals you send my way. Here's the link to leave a review on the Yong Kang Google page. …is that the system can't hear you. Only people can. And the problem is that people in the system are too often swayed to believe that they have no power over the system, that they are merely victims of it, pawns, cogs in a machine bigger than themselves. Alas, when the system can't hear you, and those who can believe they have no power, nothing improves. Systems don't mistreat us, misrepresent us, waste our resources, govern poorly, support an unfair status quo and generally screw things up–people do. If we care enough, we can make it change. • Paleo? How about medieval!